Dyson off finding Lauren; Lauren working for the Dark; and the Dark killing newlyweds so that they can use their weddings to host prepaid parties? This was quite the interconnected episode. So let’s put the pieces together and ‘let the dark times roll’. After a run in with an Una Mens blood tester in the form of a gargoyle, it turns out Bo is Dark, but how? Apparently while she was with The Wanderer, someone named Rainer signed her up for team Dark. As if matter couldn’t get any worse, she’s now pledged to The Morrigan who is up to her own tricks. With Evony back in control of the Dark as The Morrigan, Bo must now follow her orders or else the Una Mens will take matters into their own hands. After The Morrigan gave her several bad leads concerning finding Vex, Bo is out of time to renounce her decision and now must remain pledged. If there’s any chance of undoing this, it lies with Bo finding out who Rainer is. After an intense grilling session about the past as well as the identity of the Blood King, it seemed as though Trick would have to fight his way out of The Una Mens underground sanctum. In a shocking twist, the Una Mens named Trick as the leader of the Light, but was this truly all they wanted? Trick grasps a concealed dagger as the Una Mens interrogate him about the identity of The Blood King. At the start of the episode, we saw Trick with a strange demonic seed in his possession. Later it’s revealed that this was the 6th sacred seed that the Blood King stole when he fled. By episode’s end we find that this seed along with the King’s Book of Records have been stole from Trick’s vault. With the book in the Una Mens possession it’s safe to assume that they also stole the seed. What future plans to they have for Trick? After the Great Fae War, a group of Fae rebels tried to overturn the Blood Kings blood laws since they felt he had become corrupt. Eventually a treaty was struck in which the king promised to relinquish power to a council made up 6 Fae who would give up their individuality, ambition and ego to share a single soul to uphold justice, which would be accomplished by each member swallowing a seed from the sacred papyrus plant. The blood king initially agreed, but then stole his seed and vanished. In addition to this history lesson, we also saw one of the Una Men’s powers first hand. After being threatened with Lauren’s and Kenzi’s lives, Bo tried to drain the Una Mens chi only to find her attack bounced right back at her. Considering Bo attempted to drain all of their chis at once, this was Bo at her peak. If all of that didn’t even scratch them, its easy to see why are so feared. After being tortured and beaten, the Vex we know and love is back. Well kind of. It was revealed that that disgusting parasite that the Una Mens force-fed him was in fact a poison that would decay him away bit by bit. Add in the Morrigan hunting him down as well, and you have Vex hiding out at Dyson’s new place while he’s away. Vex might not be up to his old tricks for long with the Una Mens poison spreading fast. Can he take off his hand in time? When Bo finally caught up with him she found out that he really wasn’t involved in her pledging and that he knows nothing about The Wanderer. In fact, he doesn’t even really believe her and just dusts off her comments about The Wanderer as stories him mom would tell him of the bogeyman. Despite all these revelations, the most powerful moment involves Vex explaining why he’s the last Mesmer. Due to their powers, Mesmer were hated by other Fae and were thus hunted down and had their hands chopped off so that they couldn’t feed – thus condemning them to die slow painful deaths. After seeing his family killed right in front of him, Vex knew he had to become the man he is today if he was able to survive. Bo sits with a now one-handed Vex as they discuss their situations. Deep down, despite all his threats and insults, Vex actually enjoys Bo, Dyson, Kenzi and the rest of the gang. It’s why of all places he went to Dyson’s. He wanted them to find him on some level. As if straight out of a daydream, Lauren returns to Bo. It appears that her captors were in fact Dark Fae and now she works for The Morrigan. Bo is beyond happy as one can assume, but as the scenes play out more and more, it’s plain to see that their relationship is on shakier ground then when they had broken up. When Bo was drugged and capture by Vex, she went on and on about how good it was for her and Lauren to be back together, and how Lauren hadn’t done anything despite there having been a break. The harsh truth of the matter is that Lauren wasn’t faithful. She slept with Crystal – whose whereabouts are currently unknown – barely 2 episodes ago. Instead of coming clean and talking about it, Lauren has been dodging any serious conversations with Bo. Add in Lauren not even checking in with anyone about Bo, and you have a recipe for disaster. Whereas this revelation will inevitably destroy Bo, it looks like there might not be a need for it. Towards the end of the episode when Bo offers to get Lauren out of working for the Dark, Lauren declines and says that it seems the Light doesn’t want her – despite Dyson off searching for her. Bo even offers to ‘claim’ Lauren, but Lauren just replies that she wants to choose who claims her. Needless to say Bo would never make Lauren work or a slave. 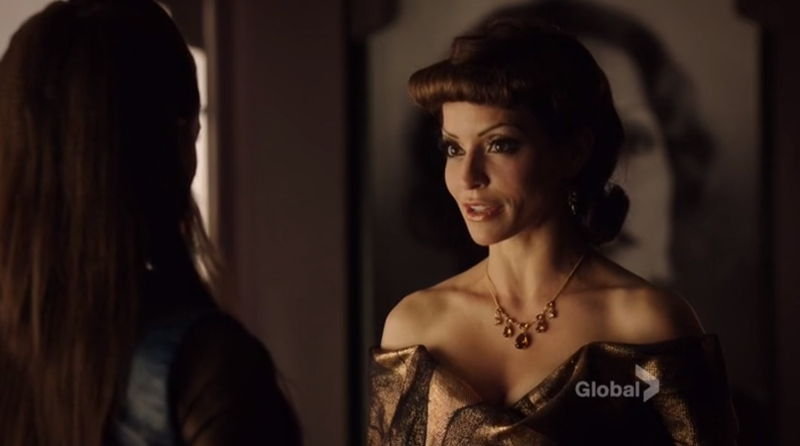 It’d be another Kenzi situation, yet Lauren declines. In short, Lauren just said she’d rather be owned by the Dark than be committed to Bo. In case there wasn’t enough mystery about identity of The Wanderer aka Bo’s father, we now have Rainer. This mysterious fellow was the person who acted as ‘sponsor’ for Bo’s signing to the Dark. Trick suggested they check the Kings Book of Records, but as we already know, this was just stolen by the Una Mens who appear to be checking in on him themselves. After looking up a name in the Kings Book of Records, one of the Una Mens exclaims ‘Not him.” while another screams as if possessed. My theory is that Rainer is actually another name for The Wanderer. Note that this spelling is what I have to work with as I have not seen an official spelling. It’s very possible that Rainer is actually Reigner, “reign” as in a king. This all keeps pointing to Bo’s father being Odin – who also happens to be known as The Wanderer. Bruce is back!!!!! For those who don’t recall, Bruce was the wise cracking, tell it like it is, behemoth of a Fae that saved Kenzi from the Morrigan last season. 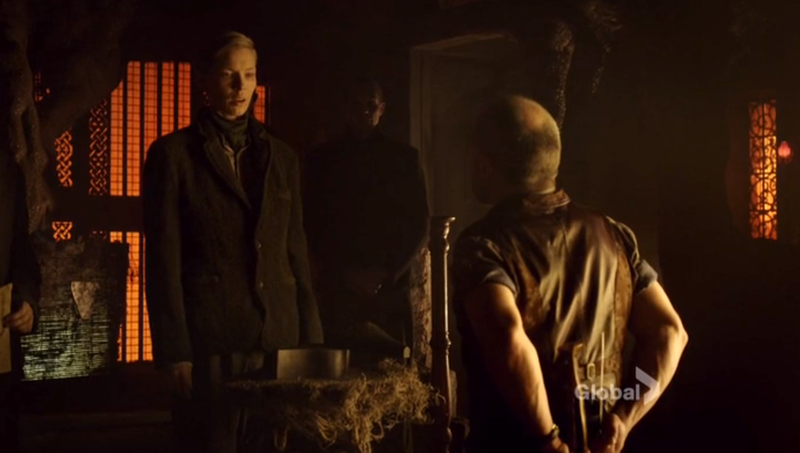 Well it turns out that he’s been force into Fae servitude for that little stunt and Kenzi isn’t going to accept that. So the plan is to get him to be Tamsin’s, but not before a little game of mortal combat – Dance Dance Revolution style. When it looks like her opponent is about to win, Tamsin cast doubt right as her competition attempt a flip, which causes her to end and snap her neck. This seems to be nothing more than a funny aside to offset Vex’s somber memories as well as all the revelations. My personal favorite moment is at the beginning when Tamsin starts dancing and you can just make out Kenzi cracking up in the background before jumping in to tag team. I don’t know about you, but I love these two so much this season. After quite a wait, we finally got an episode that answered so many questions and gives us a deeper insight into the forces at work this season. But with each revelation the plot thickens, bringing us back to old questions – such as that box in the first episode. Will all be revealed? Or will everything just Fae-de to Black? I’m glad you have good enough eyes to tell that the spilled stuff on the floor was the container for the missing seed Trick was supposed to have swallowed years ago. I couldn’t tell what it was! No problem. I feel like the Una Mens already know Trick is the Blood King and used the questioning as a distraction. Also, making him Ash will keep him from running again.